Back in October myself, Luke, my mum and her partner Ian headed over for a road trip around New England, starting off in beautiful Boston. While I have posted vlogs on my YouTube channel of our trip, I thought it was about time I put together a little photo diary and a few of my favourite spots that I would definitely recommend you check out if you’re in the area. 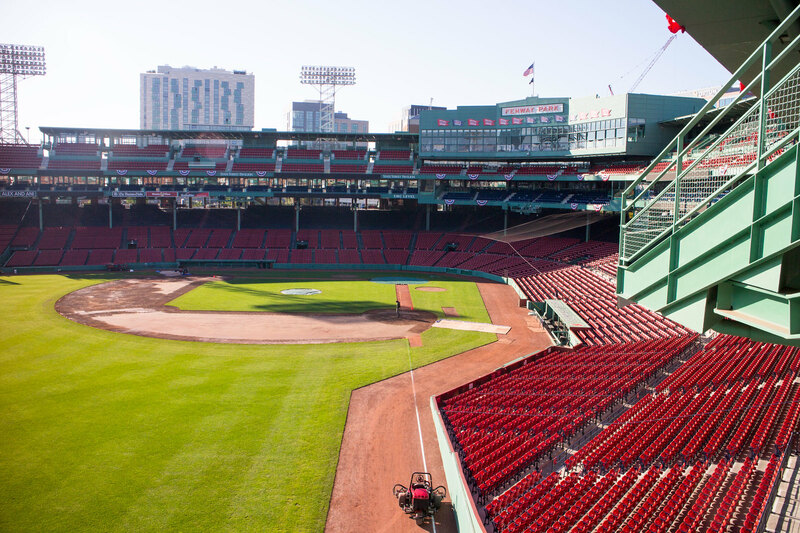 Today I’m coming at you with the best of Boston. 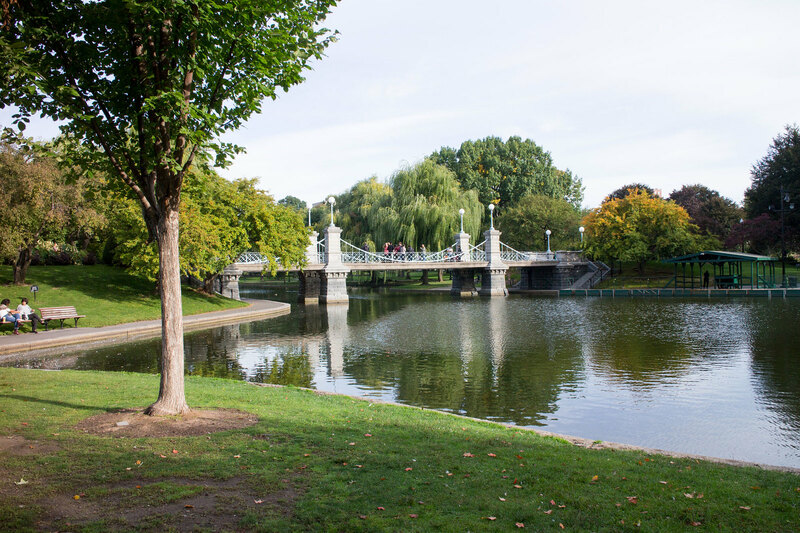 Boston Common is a huge park in the middle of Boston and is the perfect place to relax and watch the world go by. There are also a crazy amount of super-friendly/brave squirrels running around the park that make the weirdest noise! 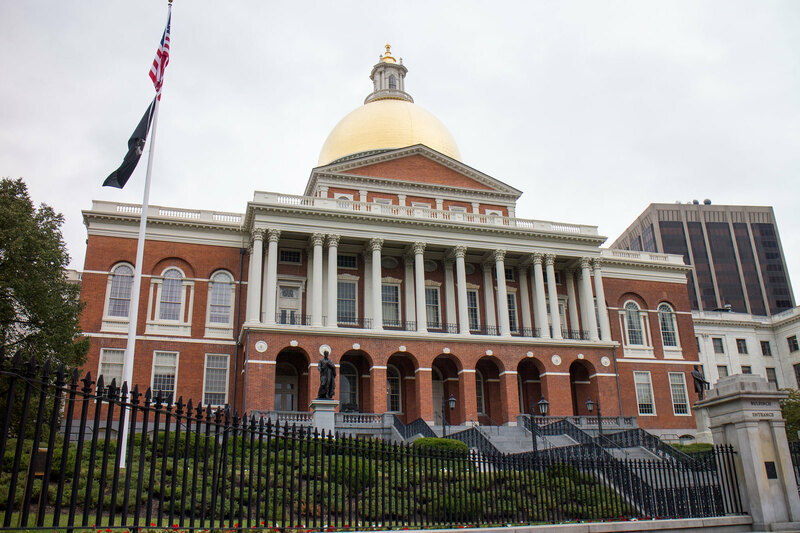 Once you’re in Boston Common, head towards the Massachusetts State House on the top of the hill which is an amazing piece of architecture. You can even take a free tour inside, unfortunately we weren’t there at the right time of day for the tours so we didn’t get a chance to but if I go back I would love to take a peek behind those doors. 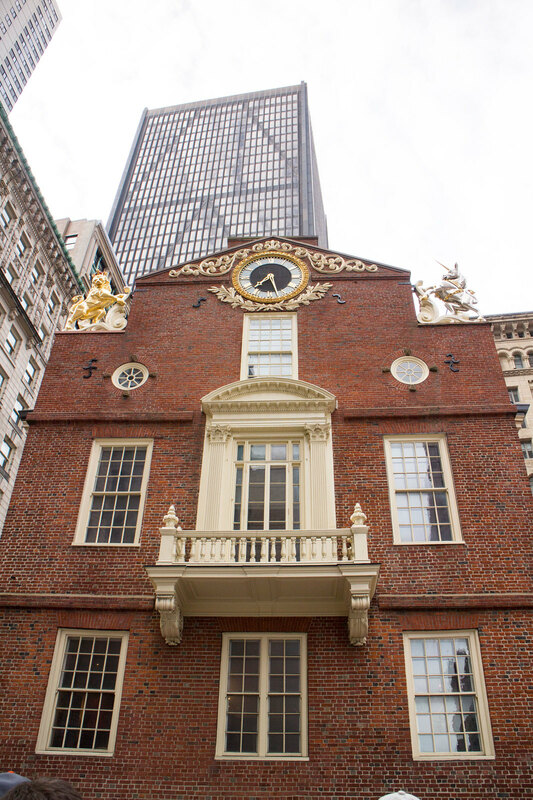 Whilst you’re in Boston Common head to the Visitor Centre and book yourself onto one of their Freedom Trail tours. The trail is marked on the ground in red from this point so you can self-guide yourself along it with a guide book, but taking the tour is great if you want to make sure you’re hitting all the key spots and getting a little bit of insider info. The tour doesn’t take you to the full length of the trail and just hits the key points on the first half, so you will need to self-guide yourself on the rest, or just stop at the end of the tour where it leaves you. 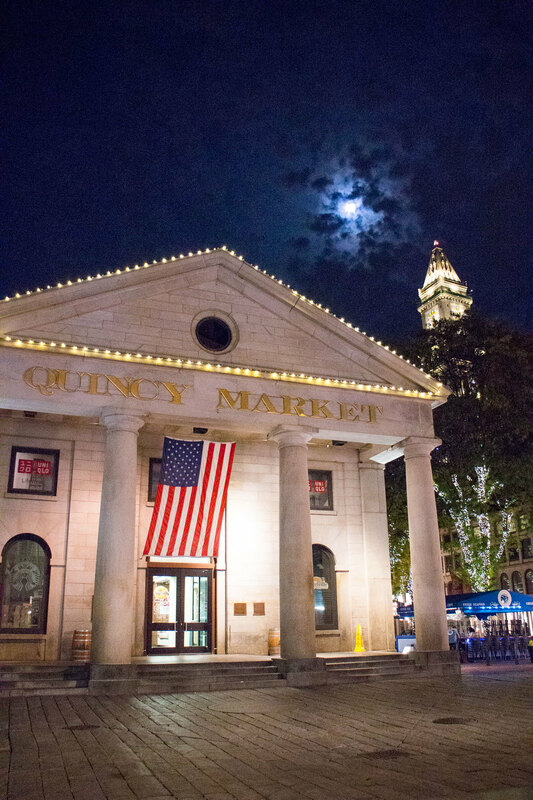 This my friends should be Quincy Market/Faneuil Hall, which again are beautiful examples of architecture, and the food counters inside Quincy Market HAVE to be checked out. From the movies I had this vision in my head of what Boston would look like, and Beacon Hill is exactly what I pictured. 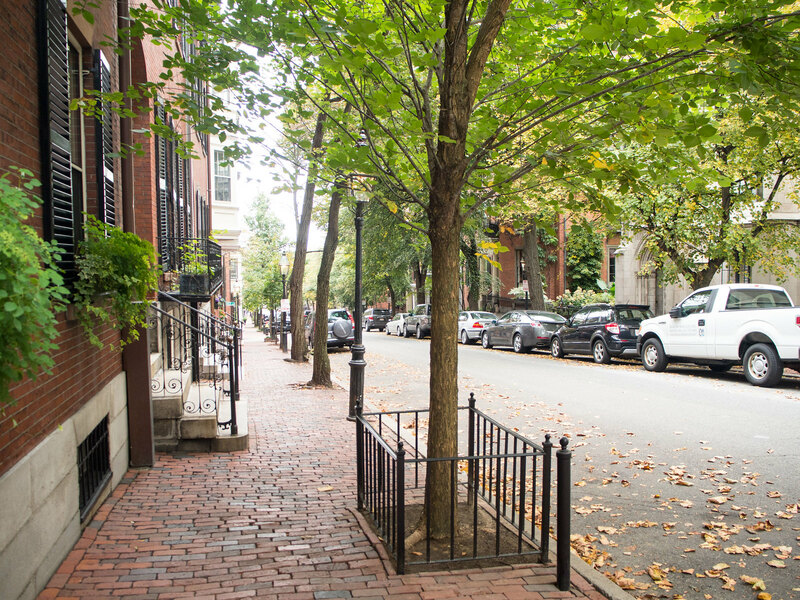 Beacon Hill is a beautiful neighbourhood a few minutes walk from Boston Common and is home to tree lined avenues of red brick buildings. 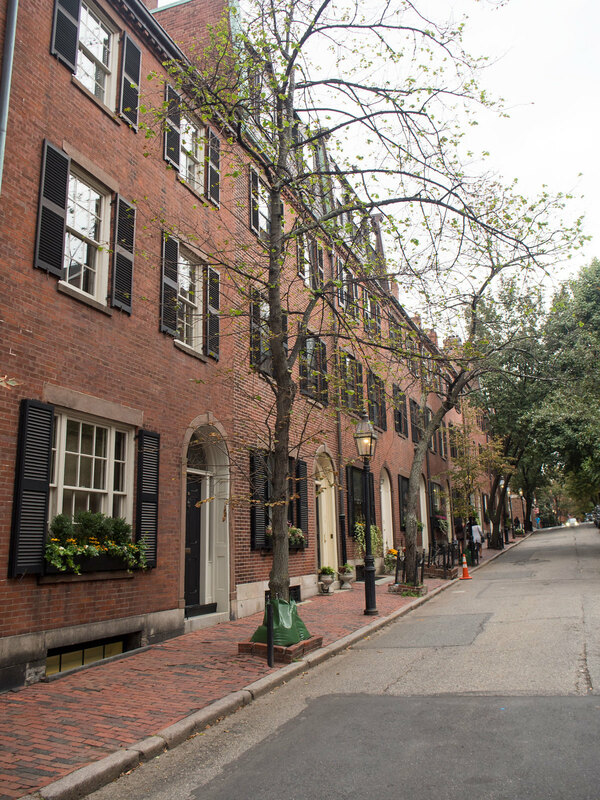 The cutest little road is called ‘Acorn Street’ and is an absolute must-see if you’re in Beacon Hill. Just get there mega-early if you don’t want other people in the background of your photos! 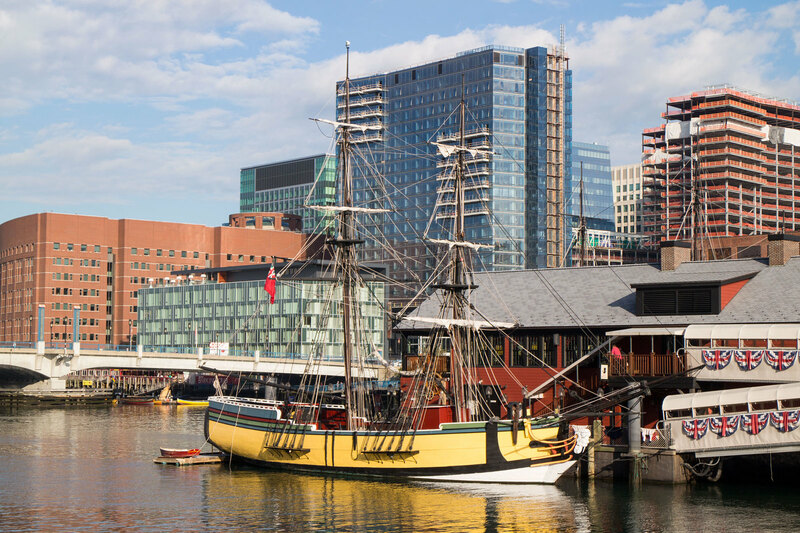 While we didn’t actually go on the ship itself, I had to head down to the water to see where the famous Boston Tea Party happened before we left. Hence the mad dash me and Luke made down there before we had to shoot off to the airport. Admittedly there is much to see here if you don’t go on the ship itself but I loved seeing the area nonetheless. And we also spotted the Boston South Station on our way there which from the outside looked like another beautiful building. I don’t know what happens to me on holiday, I do turn into a bit of an architecture geek! 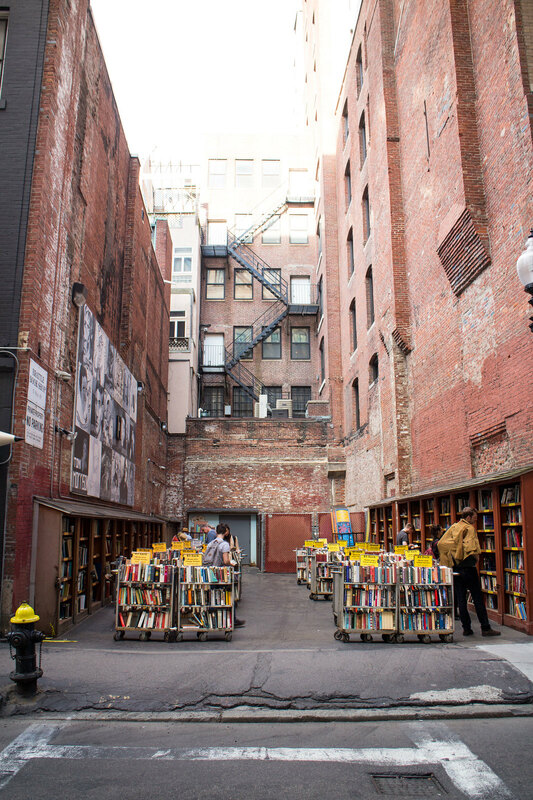 Another top spot just a few minutes walk from Boston Common is Brattle Book Shop. I spotted this on Rosie’s Instagram while we were on our trip, so I made a mental note to check it out on our last day in Boston before our flight. It’s essentially an outdoor book shop. But the setting of it is just so unique and unusual that I had to see it for myself. So if you fancy a browse of a few books or you just want to have a nosy at something a little different it’s definitely worth a look! 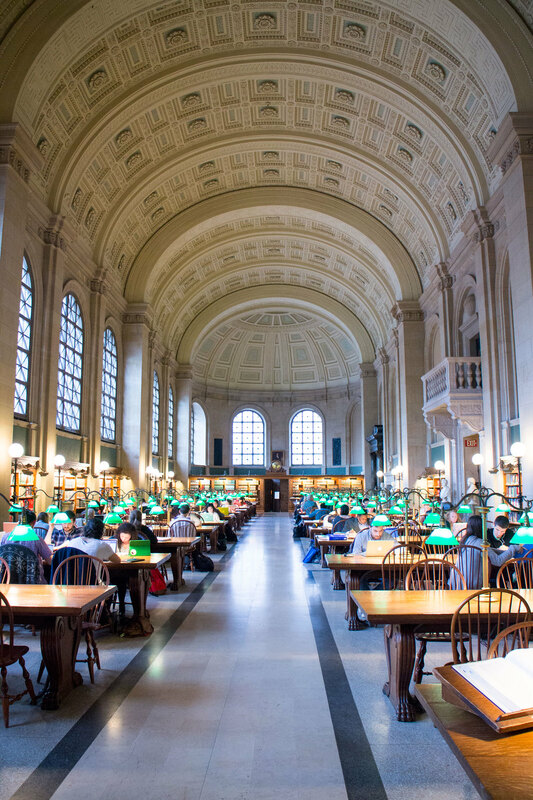 If architecture is what you’re after then Boston Public Library is 100% top of my list. Inside and out this amazing building is just one of those places that you wander around in awe. The reading room below is a particular highlight, just remember to keep it quiet! Oh and don’t forget to take a look at the outdoor courtyard with the fountains too. We sat there for a while just relaxing and it was perfect. 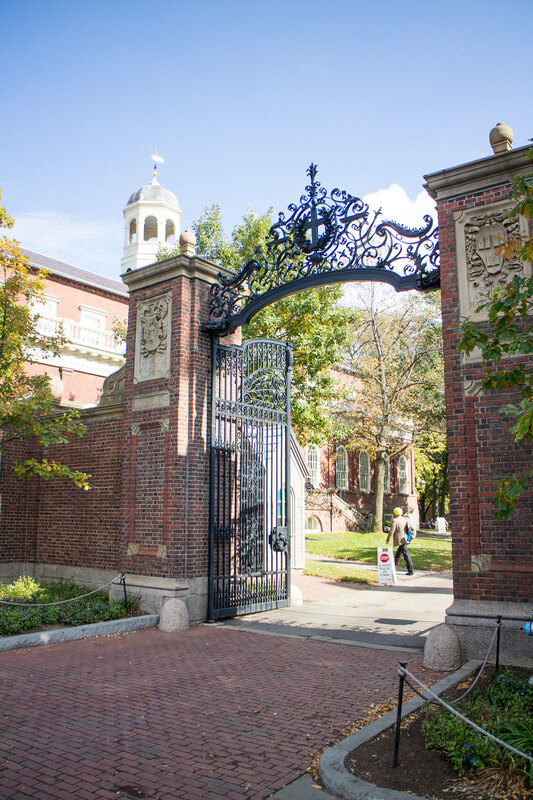 You can’t go to Boston and not take a stroll around Harvard, pretending you’re a genius law student, (you might well be, but I, my friend, certainly am not). I’m more like Mike Ross pretending I went there. Gold star for anyone who gets that reference. 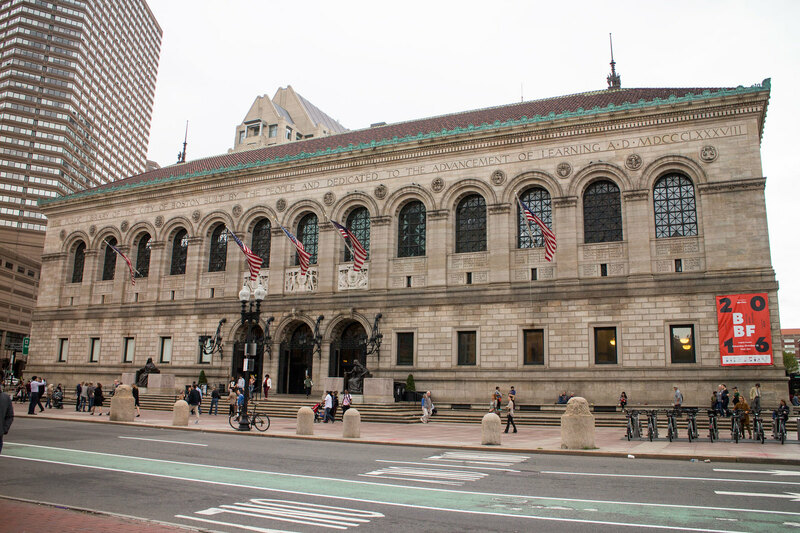 Its a short drive outside the centre of Boston and is not exactly what I expected but if you’ve never been I’d say it’s worth seeing just for the experience. We had planned on taking a free guided tour but we really didn’t have time to wait for the next one (they’re every hour from the Visitor Centre). Instead we paid for a copy of the map to self-guide ourselves around which was super-easy and straightforward if you haven’t got time for the regular tour like us, or you just prefer to do your own thang. 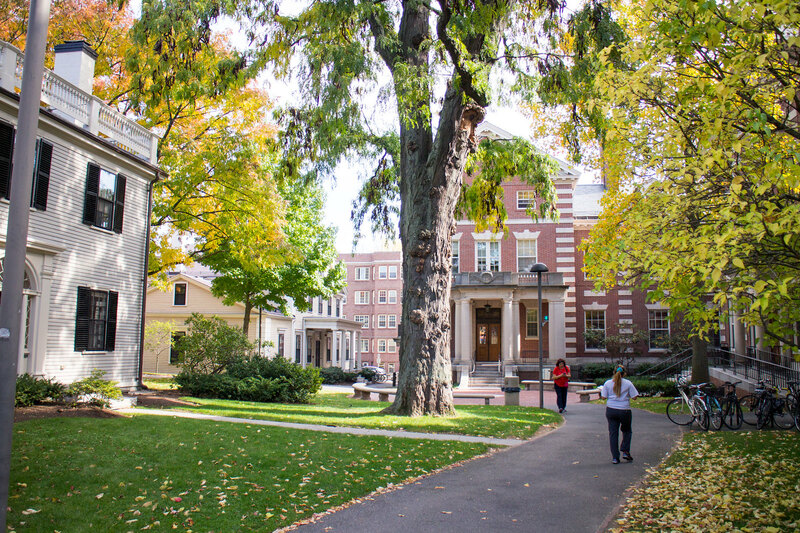 When I say it was what I expected, I purely mean that I thought it would be in a huge leafy campus isolated from everything, but really it’s in the middle of a residential/commercial area surrounded by buildings not necessarily anything to do with Harvard. It didn’t quite live up to my expectation but the buildings themselves were lovely nonetheless. We did want to take in a game while we were there but we hit the exact wrong week for pretty much every sport. Post-season was in swing for baseball and we couldn’t get any tickets for that, and pre-season hadn’t quite started for basketball. And don’t even ask about American football. I looked into tickets and if I was looking in the right places it was hundreds per ticket. Erm, no thank you. Now don’t get me wrong, it was amazing to see and we had the perfect day for it, but I did feel a tad disappointed with it. I thought we would get to see in the dug out and go onto the pitch level but sadly we didn’t, and we only really saw a couple of ‘behind the scenes’ locations. Mostly our time was spent looking at the pitch from above in the stands. So do bear that in mind if you book the tour. It does only cost around $20 I think, but I was kind of expecting a little more from it. 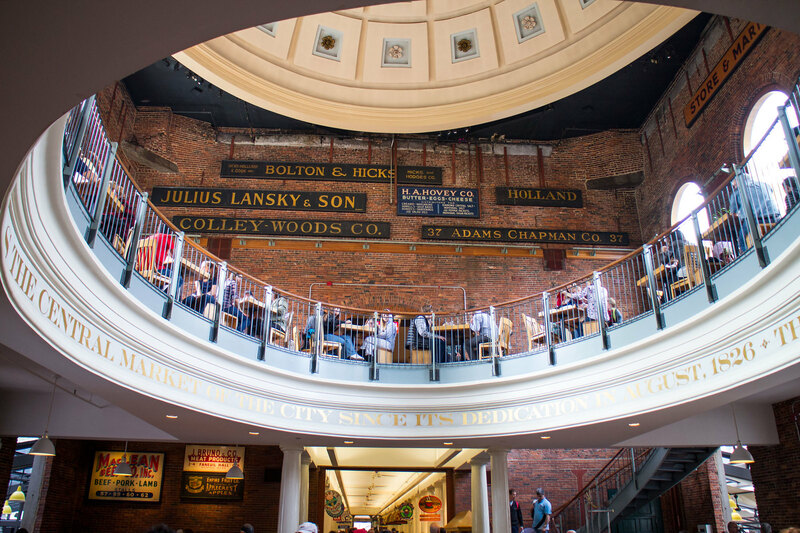 And that is my final hot spot to put on your Boston sightseeing hit list! 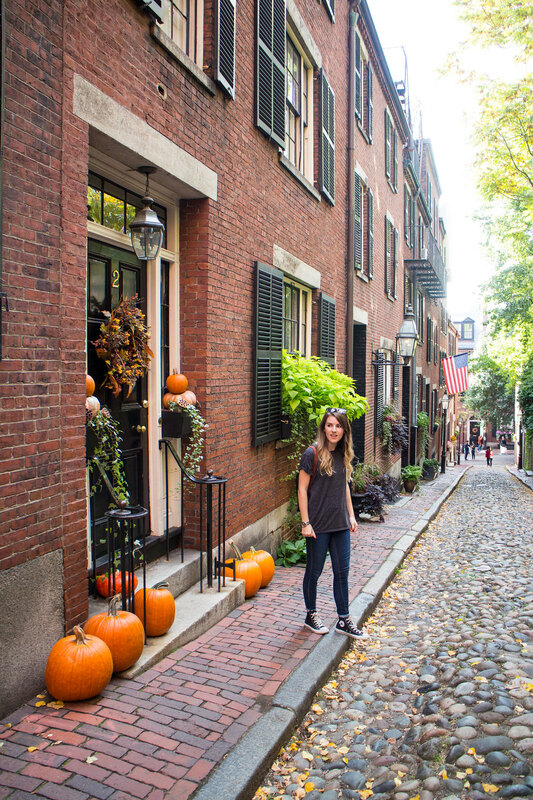 I adored Boston and would 100% love to go back in the future so do let me know if there are any places you’ve been to in the city that you would recommend too for me to add onto my ‘next time’ list. I’ll be back with another travel guide post from our trip soon which will be all about our time in Portland, Maine. P.s. 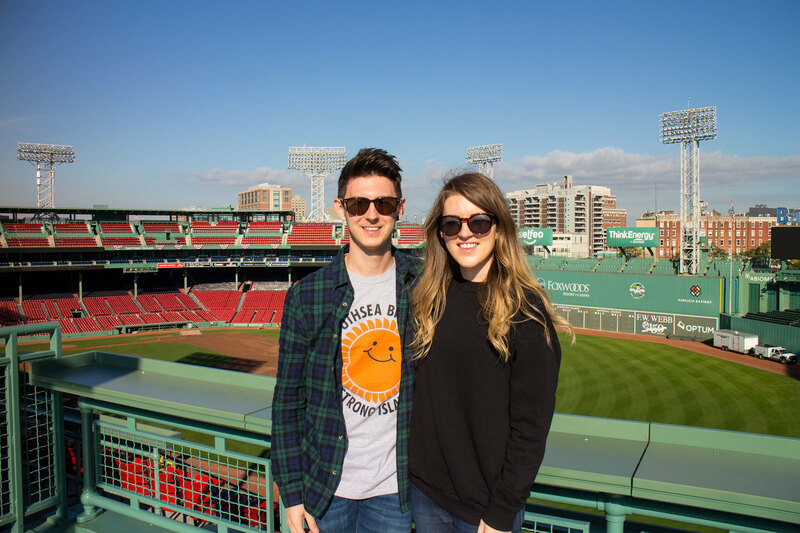 if you want to see more from our trip make sure to watch my Boston vlog too.